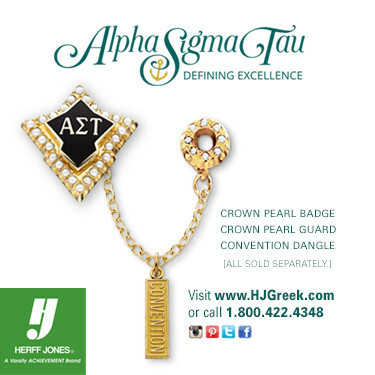 The Legacy Society recognizes individuals or families committing bequests/estate gifts of any percentage or dollar amount to the Alpha Sigma Tau National Foundation. One is recognized by this society as soon as the Foundation is notified of a formal gift commitment, leaving a legacy that you can enjoy today. Planned gifts enjoy immediate tax benefits and are at the core of lasting philanthropy and our vision of empowering women and growing the future. Thank you! To learn more about planned giving or to notify the Foundation of an existing bequest, please contact Emily Kindred, Director of Development, at ekindred@alphasigmatau.org. Thank you to those listed below, who have confirmed a planned/estate gift of any amount or percentage to the Alpha Sigma Tau Foundation and are recognized as members of the Legacy Society. If you have included the Alpha Sigma Tau Foundation in your will/estate and are not listed above, we may need additional documentation. Please email foundation@alphasigmatau.org to confirm your planned/estate gift and be recognized as a member of the Legacy Society today. Thank you!